Color:yellow Length: 25 cm Material: silicone Condition: new Weight: 480g package content:1 x Mannequin Head Note: Light shooting and different displays may cause the color of the item in the picture a little different from the real thing. The measurement allowed error is /- 1-3cm. Brand Unbranded MPN Does not apply UPC 190268122986 EAN 190268122986 ISBN 190268122986 UPC 190268122986 EAN 190268122986 ISBN 190268122986. Accessory holder - Convenient side mounted caddy for holding appliances, tools or accessories. Caddy is all-steel construction and is removable if you prefer tray without it. Casters are non-marring to protect your floor from marks. Inhalte der Schulungsunterlagen - Arbeiten mit dem Plasma Pen. - Erklärung und Wirkungsweise der Plasma Pen. Sie sind zur Rückgabe gebrauchter Batterien als Endnutzer gesetzlich verpflichtet. Die auf den Batterien abgebildeten Symbole haben folgende Bedeutung 5-fach Vergrößerung. Das Symbol der durchgekreuzten Mülltonne bedeutet, dass die Batterie nicht in den Hausmüll gegeben werden darf. LUXURY HAIRDRESSING / BEAUTY SALON TOWELS. COLOUR BLACK. Highly absorbent high quality. Superb colour fastness. Excellent shape retention. SIZE 50 X 85 CM. 100% Cotton. Comfortable deep cushioned booster seat made with a hard wearing black leatherette fabric. Gives an extra 21cm height making it easier to reach and cut childrens hair. Fits most salon chairs. Ideal for the hairdressing and barbering industry. LUXURY HAIRDRESSING / BEAUTY SALON TOWELS. BLEACH PROOF TOWELS. COLOUR BLACK. Highly absorbent high quality. Superb colour fastness. Excellent shape retention. SIZE 50 X 85 CM. 100% Cotton. Edge of tray features a 1" tall lip to secure the tray's contents and provides a barrier against accidental spills. Tray is easily removable for cleaning and sanitizing.What's Included. Casters are non-marring to protect your floor from marks. TERRI TOWELLING. LUXURY HAIRDRESSING / BEAUTY SALON TOWELS. 100% Egyptian Cotton. SIZE 50 X 85 CM. (Model style: Afro face. 7) Blow Dry hair and style as instructed by your stylist. It's suitable for hair teacher or student with permits hair design practice on every point like cutting, braiding, styling and so on. LUXURY HAIRDRESSING / BEAUTY SALON TOWELS. BLEACH PROOF TOWELS. COLOUR BLACK. 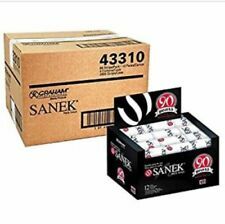 Highly absorbent high quality. Superb colour fastness. 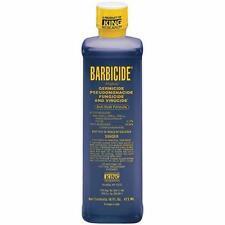 RESISTANT TO DYES AND BLEACHES. Excellent shape retention. SIZE 50 X 85 CM. This mannequin head is a great way to practice all different kind of hair styles can create so many different looks; this is a great product to teach yourself different hairdressing techniques or just to have fun with. LUXURY HAIRDRESSING / BEAUTY SALON TOWELS. COLOUR WHITE. Highly absorbent high quality. Superb colour fastness. Excellent shape retention. SIZE 50 X 85 CM. GOOD ABSORBENCY, RELATIVELY HEAVY! 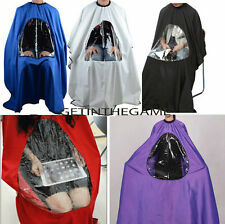 Perfect for Salons, Nail Salons, Spas. Matching Loyalty Cards now available . LUXURY HAIRDRESSING / BEAUTY SALON TOWELS. COLOUR BLACK. SIZE 50 X 85 CM. 100% Cotton. GOOD ABSORBENCY, RELATIVELY HEAVY! Excellent shape retention. Nail Salon Price List | Price list for nail salon | Nail salon poster | 36"H x 24"W laminatedFree ShippingGreat Customer SupportSatisfaction GuaranteedDESCRIPTION Nail Salon Price List REWRITABLE | ALREADY LAMINATED | ERASABLE MARKER INLCLUDE !!! 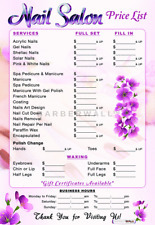 A must have for all nail salon and beauty salon Printed on high quality glossy poster paper. Already laminated for durability and fade prevention Shipped rolled in a tube for no damage Dimesion 36"H x 24"W in size. Prices can be changed again and again with no staining. A dry erase marker included. Crispy and sharp images with HD resolution. Barber Poster by Barberwall®, crispy images you will love! You will be seduced and captivated by our NEW barber shop poster at first sight. Barbershop Poster Features. ---FAST FREE SHIPPING - ( No Minimum Purchase Require ) ---DIMENSIONS - 24 X 36 INCHES IN SIZE ---ALREADY LAMINATED- for durability and fade prevention ---CRISPY CRYSTAL IMAGES- with high resolution color ---SHIPPED ROLLED IN A TUBE - for no damage. ---A MOST HAVE FOR ANY BARBER SHOP - barber poster displaying 25 great hairstyles. ---A GREAT ADDITION TO YOUR BARBER SHOP - feature Latinos Haircuts Style. 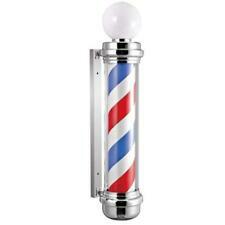 This new barber shop poster will make your shop POP!. Hairdressing stand holder with tripod-leg, one chain to hold disk, convenient to place your hairdressing tools. Embroidered Lecente logo in white. 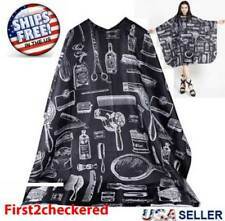 Black apron for nail tech's / salon staff. Lecenté Apron. 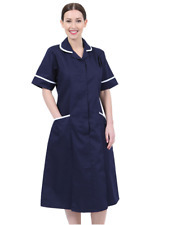 High quality, professional touch to your salon uniform! Glitter bomb your uniform no more! LARGE LED LIGHTED CUSTOM SIGN. APPROXIMATE SIZE IS 17"H X 6"W X 1.5"D. UNIQUE CURVED FACE GIVES THIS SIGN A 3D LOOK. Asciugamano bagno 100% cotone, 70x115 cm. PHOEBE 170 ASCIUGAMANO. BATH TOWEL 100% cotton. Very good perspiration fastness. Very good washing and rubbing fastness with brighter shades. Very good light fastness and color protection from degrading by ultra violet rays. Mambo Black Salon Trolley - 4 Drawer. Quality Trolley with 4 Draws - Great Price. Boasting a high quality finish. It is easy to assemble and moves. Easy Setup, Easy to move, Plenty of Storage. Easy to clean. In very good condition. It appears as though the back of the head had been cut. The height is 19".